Today with the modernization in this world, owning a vehicle is a necessary factor. But only having a personal vehicle does not makes life simple, in order to drive your vehicle you must know how to drive and one can only become an aware and good driver by learning from a right teacher. 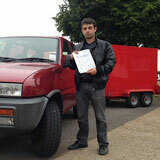 One can easily enroll themselves in GP Training or driving school in Kings Cross, London; we provide the trainee a proper training through which they can clear the driving tests and practical and obtain their license. Our trainees are trained by skilled professionals who not only train them to drive but to drive safely with proper instructions in their native languages like Hindi, Urdu, English, Punjabi, Kashmiri, etc. Large Goods Training (LGV) also known as HGV training basically means the training provided for driving heavy vehicles like trucks. Passenger Carrying Vehicle (PCV) is a vehicle used for carrying constructed or adapted to carry 8 passengers if it is a small passenger carrying vehicle but not more than 16 passengers. Certificate of Professional Competence (CPC) is a qualification which contains all the aspects of road transport; in other words a driver becomes eligible to hold a driver’s license. C1-License is the license that entitles the holder to drive a large goods vehicle with a gross vehicle weight of up to 7,500 kilograms. C1-E License is the license that entitles the holder to drive a large goods vehicle with a gross vehicle weight of up to 7,500 kilograms with a trailer over 750 kilograms. C1-E 7.5Training is the training provided by skilled professionals to drivers who wants to professionally drive vehicles weighing more than 750kg albeit the trailer should not exceed the weight of the vehicle. C+E Truck and Trailer also called Lorries refers to the truck and trailer combination that can be used either that as Articulated or Drawbar combinations with 42 tons of trailers. 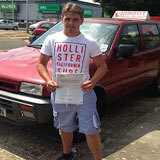 Pass Protection is a process of safeguarding ones success with the driving tests and license acquisition. It is a formal assurance provided by the trainers to the trainees that they will be taught everything required to clear the tests for getting a license. 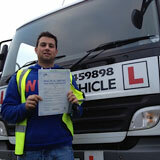 D1 Minibus driver training is the training being provided to the trainee to learn the minibus driving. D1+E and Trailer refers to the combinations of vehicles which includes a minibus which is constructed to contain 21 people combined with a trailer up to weight of 750 kg albeit that the MAM of the combination thus formed does not exceed 12,000 kg. 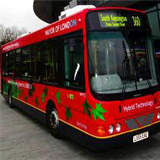 D Automatic Bus driving is a type driving which is specifically designed to teach how to drive an automatic bus. D Manual coaches driving is a type of driving specifically taught to drive heavy load carrying vehicles like single or double-decker buses. A person who can easily drive such a vehicle proves to be a generally good driver. D+E Manual Coach and trailer license is a license that permits a driver to drive any vehicle that is constructed to adapt more than 8 passengers. 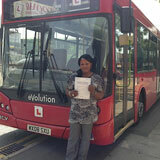 PCV Pass Protection as the name suggests indicates to the method through which a trainee is guaranteed the success of the PCV Driving Acquisition Test entitling him to the refund of the money or retests in case he fails. 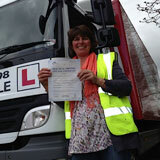 CPC Driver Training is an essential training required for drivers who wants to drive the Large Goods Vehicles. Firstly, Driver Module is divided into 4 modules in which Module 1 & 3 are a part of LGV testing whereas Module 2 & 4 is related to the driving tests. Module 2 contains the theoretical part of the examination on the other hand module 4 is the practical part of the examination. Driver CPC Training is the mandatory 35 hours of periodic training every five years if a driver wants to maintain a sustaining legal license. 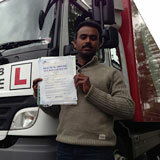 This training is taken by professional drivers who drive for living. CPC Theory Test or Certificate of Professional Competence is a written examination conducted to maintain high standards of road safety, health and safety and driving among professional drivers (those driving for a living) of buses and trucks that tests the driving knowledge of the candidate. Fifty questions are asked based on various rules of driving; also several safety measures not to be ignored while driving. 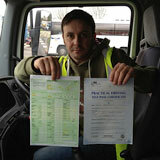 The questions include vehicle handling, alertness, accidents, various vehicle loading question and documents of vehicle. A person can only acquire a government issued license after completing the above mentioned procedures. For a professional training a small fee is required to be paid but the result is fulfilling. One cannot drive without a sustaining license and you have to have a proper training in order to clear all procedures so that he can acquire the license. Therefore, go and register yourself in your nearest GP Training center and learn the proper and safe way of driving. Drive happy and drive safe!